At Editors For Students, we understand your budget constraints. For 16 years, we’ve been providing students like you with the most affordable, accurate, and well-respected dissertation editing services online. In our tradition of offering services that are accessible to students in the United States and around the world, this Fall we’re offering free layout formatting with any dissertation editing order. Normally $8/pg. for a complete final, publication-ready review of your dissertation draft, with this free layout formatting offer, our entire editing, citation formatting, and layout formatting service is just $6/pg. for the month of October to November 15. With this discount, we’ll review your draft for grammar, style, and voice, update your references to comply with APA standards (or another style you choose), and format your draft following your university’s guidelines for pagination, margins, the table of contents, figure and table headings, etc. To place a dissertation editing order with free layout formatting today, all you’ll need to do is enter the discount code FREELAYOUT at the link below – please be sure to use only this link to our Complete Prep dissertation service since the discount will not apply to our other editing services. We hope you had a fantastic Spring 2018 semester. We’re writing to let you know that we’re still here to help over the summer and are now offering $1/pg. off our dissertation editing service for the next two weeks. Let us help take care of the clarity, grammar, and style of your chapter, entire dissertation, or essay over 20 pages today. Don’t delay. Our dissertation editing service has a one-week deadline from the time an order is placed, and we’re ready to get started on editing your draft today. To use this discount any time between now and July 21, all you’ll need to do is to enter the discount code DISSERTATIONOWL at the order page after entering your word count and uploading the draft you’d like us to edit. Since 2002, we’ve been providing the only insitutionally-sanctioned academic editing services available online to clients in the United States and around the world. You may already know what you can expect from us –– an error-free draft ready to print and turn in –– and we welcome you to forward this email along to friends and colleagues who have not yet experienced the most affordable, accurate academic editing service anywhere. 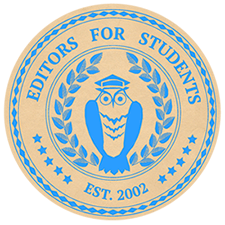 If you have any questions or need help and the order page, please feel welcome to contact me any time at editorsforstudents@lindenhouse.academy. We’re offering our first discount of the year. If you haven’t used our dissertation service in the past because you’ve been working on chapters or essays, have a week to wait for your order, or are ready to start your project for the Spring, now is a great time to order dissertation editing at $1/pg. off the regular price of $5/pg. To place an order, you can use the link below, which will take you directly to the dissertation order page. At the checkout page, you’ll want to enter the discount code SPRINGOWL. Be sure to take advantage of this discount soon. It’s expiring on January 31st.